It is always hilarious and lame when you see the Valentine's Day swag the second the Christmas decor comes down at every store in January. BUT, Winter is even lamer and January is the longest stretch of gray if there ever was one. So I am kind of getting it. February first felt appropriate to bring the love and hearts and all the other sweet stuff. Matt and I are not a "let's exchange presents" kind of couple for Valentine's Day. Are you? 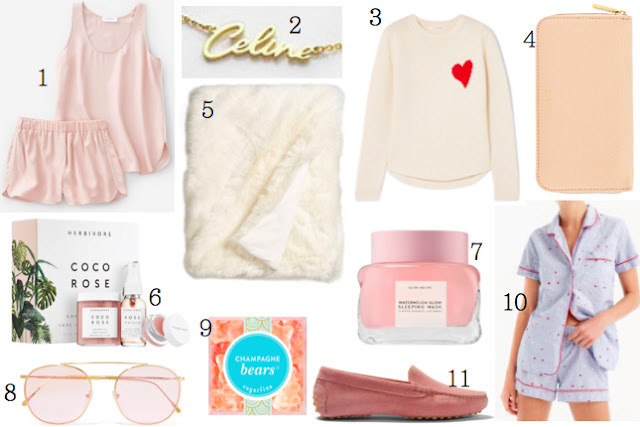 If we were, this would all be on my list. Luckily for me, a gift to myself for Valentine's is a long standing tradition since my early single days. And guys that are reading, get her something! It will never NOT go over well. 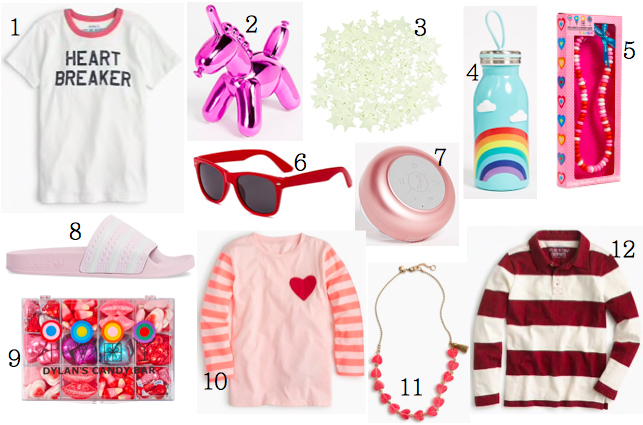 I also put together a little list for the kids and a few ideas of the guys if you are feeling extra loving this year. 1. A soft silk PJ set that screams luxury, but at an amazing price. / 2. A name necklace á la Carrie Bradshaw that I am loving / 3. A cashmere sweater that will blow her mind. This sweet sweater is closer to earth and sweet too. / 4. A beautiful new leather wallet with her monogram / 5. A cozy blanket because she is always cold / 6. A set of rose scented products that everyone is talking about. / 7. Watermelon Glow Sleep Mask that I am currently obsessed with / 8. Rose gold sunglasses that are the coolest / 9. Bring home these champagne bears and a bottle of the good stuff / 10. A classic pj set with sweet little hearts. Love this one too / 11. Soft suede moccasins she will live in. 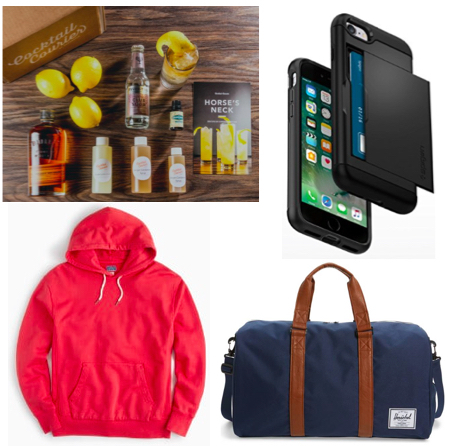 Clockwise from Top Left: Cocktail Courier will send everything your man needs to make the perfect cocktail / A new iPhone case that hides a few cards and money inside / A great duffel for those weekends away / A red terry sweatshirt because he would be cute in it.